I found myself lying on the floor of my apartment, sobbing for hours on end: “God, I’m doing everything I’m supposed to do, and I still don’t feel closer to you. In fact, I feel worse than ever! How could this have gone wrong? I can’t see any way out. Help me.” As a university student, Andrew Farley found himself physically and emotionally addicted to street evangelism and Bible study. Yet despite his fervid behavior, he knew something was missing. That something was an understanding of the gospel that is stripped of the compromises and clichés of the modern church. 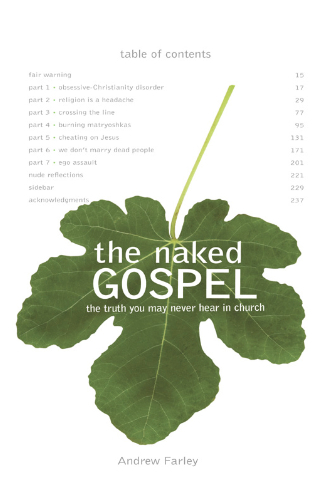 The Naked Gospel finds friends among those who are burned out on experience-chasing, ceremonialism, or legalism.